Is Timing Everything On Social Media? As we noted in a post last week, we’re busy analyzing the findings of our Small Membership Survey. Once again this year, we found that increasing member engagement remains one of the key priorities for these groups. And while email and websites continue to be the key methods used to communicate with members, just over half of the respondents also reported using Facebook to connect with their members. But it also appears from both our survey response as well as in discussions with our Small Membership Advisory Community, that many organizations are unsure about how to get started with social media. How can a small organization (made up primarily of volunteers) get started using social media. What’s the best way to get started on social media? How do they manage social media? Why should your organization get active on social media? Social networks, such as Facebook, Twitter, Google+, LinkedIn and Pinterest offer opportunities to both show and tell existing and potential supporters about your organization. Many non-profits, associations and clubs are using social media for general awareness-raising and for promoting events and activities. For example, a nature conservancy group recently explained that they’ve found Facebook effective for getting attention through posting photos and brief stories that lead folks back to their website for more details about how to get involved. When someone is captivated by a photo and shares it on Facebook or “likes” your organization, the message is spread to that individual’s Facebook network of friends. Through social sharing, your message has the potential to grow exponentially. What about the “who, what, and when”? Who will be responsible for posting on social media? Do you have the staff resources? Can you create a volunteer social networking team? Would your board or communications volunteers manage this? What will you share on social media and what networks are best for your organization? When it comes to engaging with your social media following, timing is of the essence. Knowing when to share a link may spell the difference between an Internet sensation and a big letdown. Knowing when the most users are in front of their computer and primed to share your content, can be tricky. 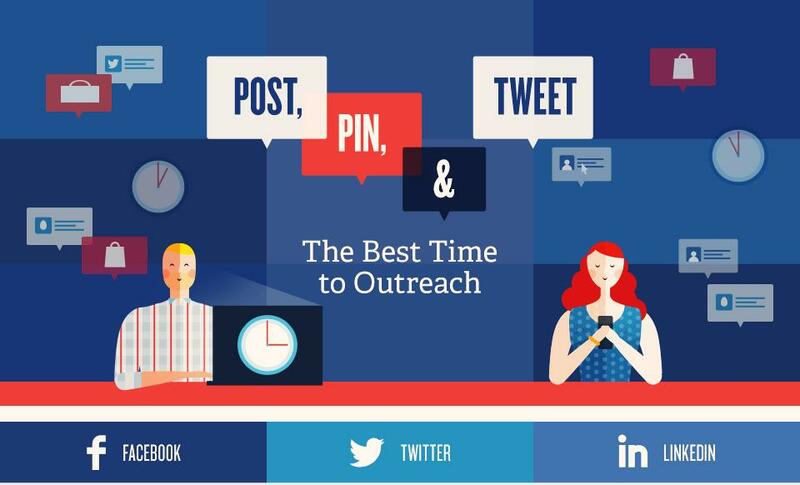 To help, they offer a fantastic infographic that provides the best times and the worst times to post on social media platforms. So here’s infographic (from SurePayroll) with some social media publishing timelines to follow.